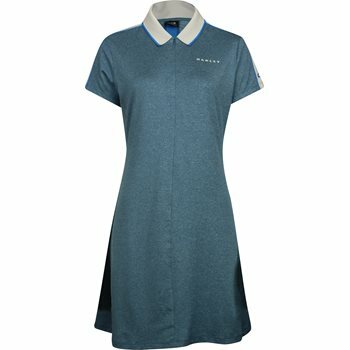 Oakley’s Bella Golf dress features stretch fabric and a back stretch panel to ensure easy movement through each golf swing. The fabric is also lightweight and breathable to keep the skin ventilated. The fabric is made of polyester/elastane, offering durability for machine washing and resistance against shrinking and wrinkles. The Bella dress is designed with a fitted body, tennis undershorts, a ¼ zip placket and Oakley branding at the front chest and sleeve.